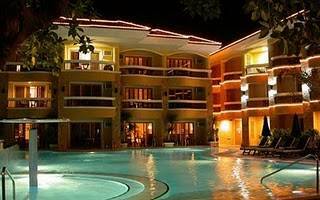 Stay in Boracay Regency Lagoon for only Php112.22/day! 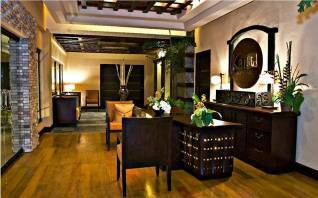 Stay in Boracay Regency for as low as Php112.22 a day on installment basis at 0% interest! credit cards include: HSBC, Metrobank, AIG, EastWest Bank, Diners Club, BDO, Security Bank, Union Bank, and Allied Bank. Offer is on a limited basis only, so book now! Reserve your slot by filling up the form below. After you fill-out the form, a representative from CNM Travel and Tours (the official travel agency partner of Boracay Island Guide) will call you. An unmatched feature at Regency Lagoon is it's 1,200 square meter lagoon-swimming pool, the biggest in the island. Visible from all rooms, the lagoon is the guest's private retreat if they find the long beach too crowded, With sun-loungers made of teak-wood and a pool bar offering refreshments, the lagoon will truly becomeone of the highlights of your stay. Journey through the Asian inspired spa suites and experience the beauty of life, its grace and offerings in the Kai Regency Spa. Seek the sensory experiences that will bring you warmth and light, each of which will give you a different feeling of holistic health and wellness, giving you a perfect ending in your wonderful stay at Boracay Regency Lagoon. We guarantee the lowest Boracay travel packages online on installment basis at 0% interest. Click here to return from Boracay Rgency Lagoon Packages to Home Page.